Britain on the other hand has a very different couture legacy with couture houses often seeing their money made (unitl 1958 when presenting stopped) through debutante dresses. 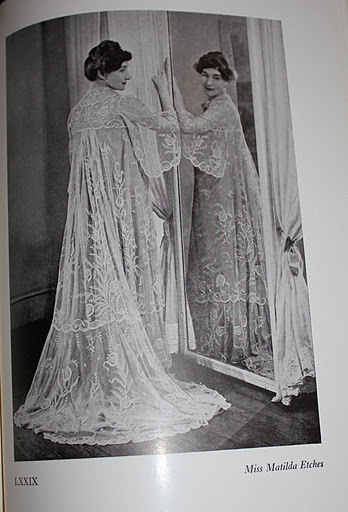 In Britian today the couture industry has all but ceased to exest and those names who were once revered in a similar light to the French couturiers (for example Hardy Amies and Bianca Mosca) are often forgotten. 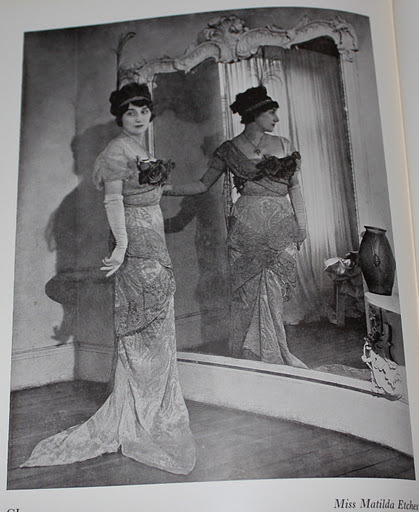 Today I would like to introduce you to a particular British couturier of note, Matilda Etches (sometimes seen as Matilda Ethces-Homan). Etches for reasons I will discuss later has a very important position in terms of the acceptance of fashion into the museum world. 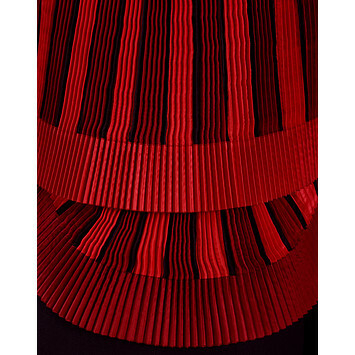 Etches was famed throughout the 40s particularly for her fashionable yet innovative clothing that often featured careful sculptural detailing. 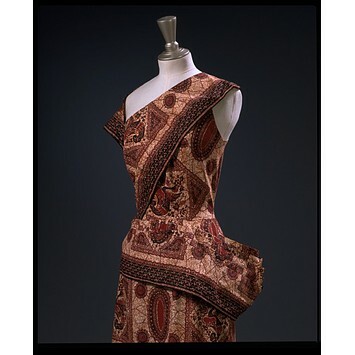 I originally discovered her work when investigating garments using minimal seams. 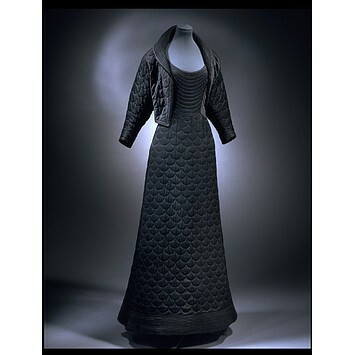 I then found this example of her work in the V and A collection. The jacket here can be worn either as seen in the image or worn the other way round to create a dramatic peplum. The jacket must have been created as a circle for this to be possible. Moore used key people in fashion of the day for this book, so Ethces must have clearly been considered important enough in 1949 to be included! Thank you for sharing such a great article. I am currently searching my family tree and I have discovered I am related to Matilda Etches (from an old family tree book I have) so any information or photos of her is amazing find. Thank you for sharing!